From press conferences in the offseason, to hastily-summoned press meetings in the middle of the campaign and tearful goodbyes after a Super Bowl, the NFL has seen retirements announced in a variety of ways. 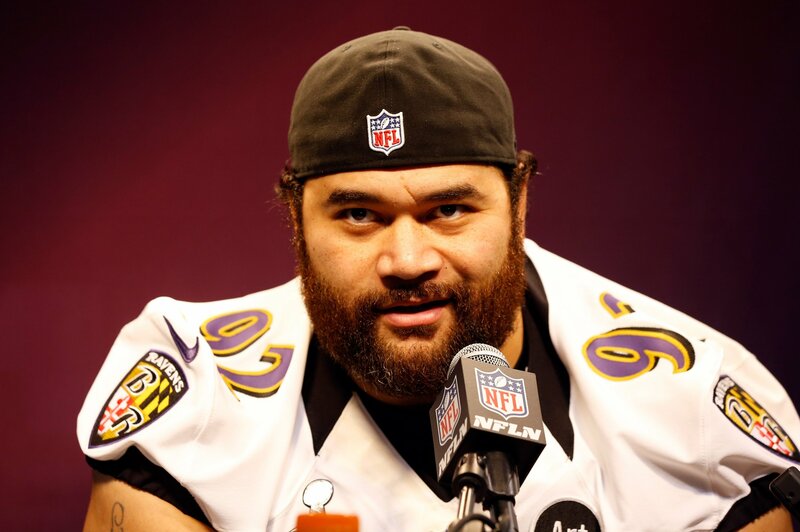 Up until today, however, it was yet to witness a player announcing his decision to step away from the game as Haloti Ngata did. The 35-year-old veteran revealed his decision to hang up his cleats while on top of Mount Kilimanjaro. Ngata posted a picture of himself standing on Africa’s highest peak—at 13, 341 feet in the air—while holding a flag reading “I’m retiring from the NFL on top”. In the caption to his Instagram post, the defensive tackle explained he had no regrets about walking away from the game. “Just a man standing on top of the world with a heart full of gratitude,” he wrote. “Thank you Lord for letting me play the game I love for 13 unforgettable years. I’m retiring on top. I might be finished playing football, but I’m holding tight to the friendships, memories and wisdom I’ve gained along the way. A consensus All-American during his days at University of Oregon, Ngata was selected with the number 12 overall pick of the 2006 draft by the Baltimore Ravens. He spent nine seasons in Baltimore, winning Super Bowl XLVII as the Ravens defeated the San Francisco 49ers 34-31. During his spell with the Ravens, the California native was a Pro Bowl selection for five consecutive seasons between 2009 and 2013 and a first-team All-Pro selection in 2010 and 2011. In 2015, the Ravens traded him to the Detroit Lions. However, where he played a combined 27 games in his first two seasons. His third campaign in Michigan, however, was brought to a premature end when he tore a bicep in Week 5. The game would prove to be Ngata’s final appearance for Detroit as he was placed on injured reserve by the Lions and eventually released by the organization. In March last year, the veteran penned a one-year deal with the Philadelphia Eagles, for whom he played 13 games last season, starting in nine of them. Ngata leaves professional football with 32.5 sacks, 519 combined tackles, five interceptions and seven forced fumbles in 180 games. READ Report- Did Anyone Win The $157 Million Jackpot Friday (Last) Night?